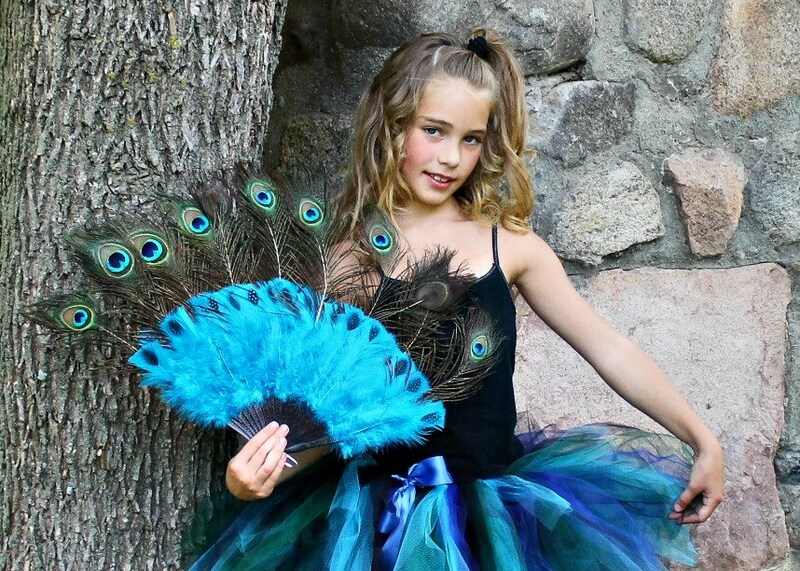 Finding a new scary costume for your tween might not be the easiest thing to do. Kids this age start getting preoccupied about the way they look and they change their opinion about what is cool and not. You can play it safe with a witch costume or help them stand out with something more original, but it’s important to always ask for their opinion before buying although this might ruin the surprise. Quality, of course, is also important, as well as for the suit to be age-appropriate. This is a particularly elegant mermaid costume with fine prints and dazzling colors. People are impressed that it looks better made than most other suits you would use for children and your daughter is sure to appreciate the superior quality of this outfit. Made out of 100% polyester it can be machine washed for better convenience and also comes with an adjustable headband to complete it. However, don’t expect it to be usable for trick or treating unless you are living in a warm weather region, as it leaves the arms bare and it isn’t that thick. This steampunk outfit contains a velvet top dress with buckle details, a top hat with scarf, laced-up glovettes and a pair of steampunk goggles. It is to be associated with a pettiskirt to make it puff up for a 19th century Wild West look and all the people who bought it agree that this is necessary for the costume to look right. The large version fits 10 to 12-year-old girls well, with the extra large appropriate for teens or huskier children. The level of quality is far from poor, but not the best either as all sizes can be found for under $50. Athena is not always represented as a warrior, and this elegant gold-trimmed costume from Fun World definitely does not come with a spear and shield. This finely draped pullover dress changes its color from cream at the top to pink at the hem, which makes it a bit more interesting than a regular Greek outfit. It has golden plastic rings on the shoulders to hold up the dress and it also comes with a leaf motif headband made from the same material. It is to be associated with gold ballet flats for a complete look. If you want to make your tween girl look like Isabella d’Este for Halloween then there might not be a better way to do it than this dress. The famous Renaissance humanist might not have been a queen, but most contemporary European women dressed like her anyway, and this polyester long sleeve dress with a detachable collar and plastic pearl necklace is something that we believe she could of worn. The jewelry is complete with a plastic gold crown adorned with diamonds made from a similar material. While it comes in multiple sizes, various users comment that it fits tall and slender girls best. As Scarlett O’Hara tells herself, “tomorrow is another day”. Well, that is true for all people only in most cases, as this Miss Reaper tween girl’s Halloween costume reminds us. It is made from 100% polyester, and it consists of a tattered dress, a hooded cape with a facial veil and an attached overlay. There are also bone print tights and glovettes, as well as a waist chain but the ubiquitous scythe is not included. The material is soft, and it stretches, so this allows for quite a deal of comfort, although its customers are not equally pleased with the quality of the chain accessory, which breaks apart too easily. This police costume is meant to evoke the blue uniforms of the 70s, and it consists of a short-sleeve dress, a separate belt, a police cap, plastic handcuffs and two badges. It can be associated with reflective coated sunglasses and a toy gun to complete the outfit, as well as black boots and shoes. The material quality was found to be satisfactory by most parents, and this costume can easily be associated with leggings or other undergarments, as well as a jacket, so it is fit for trick or treating even in colder regions. Girls who got tired of playing princess but want to remain in the same historical period will surely appreciate this knight’s costume. It doesn’t come with any leggins or tall boots, just a gown, together with a transparent cape, a “mail” hood playing the role of a rather loose coif and glovettes. To complete the outfit, you can associate it with a sword and shield for renaissance fairs or Halloween. When wearing multiple layers of clothing underneath, it won’t really ruin the effect so this will also work for trick or treating on cold nights. Halloween is the perfect opportunity for parents to showcase their imagination and creativity by dressing their children in various costumes that are meant to stand out and be really special. With the almost hundreds of options available to choose from, the most challenging part is settling on a particular model and theme and then trying to find and purchase a costume that corresponds to what the parents we referred to above have in mind. Depending on their age, the children themselves also can have a major say in the choice of their costume for Halloween. In the case of a toddler costume, it’s mostly the parents who decide, of course. But when it comes to tweens, things change; not necessarily for the worst, because their parents would only have to do the scouring and buying, with the task of choosing a costume for Halloween being left to the youngster himself or herself. Even so, between it being a delight or a hassle, there is a fine line, all the more reason for us to put together the following guide, which will give you, parent or tween, some suggestions for some of the most creative Halloween costumes for tweens. Tweens have so many costume options for Halloween that it’s very easy to get lost in the multitude of choices one has at his disposal: there are vampire costumes for tweens, unicorn costumes for tweens, queen of hearts costumes for tweens and so on. Most of these costumes are readily available on the Internet; simply type the terms corresponding to the desired costume, and you’re sure to get tens or perhaps hundreds of sites that advertise or give you suggestions regarding as to how to find and/or purchase the outfit that you want to do on Halloween night. By this method, one can order such a costume to his door from the comfort of his own home and be spared the inconvenience of actually going out and looking for a costume that would fit his tastes and preferences. 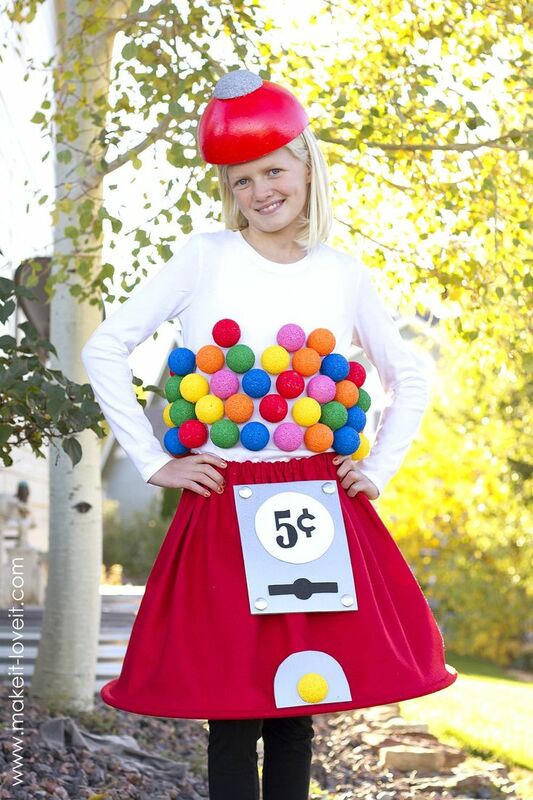 Yes, this is the second method by which you can find the best costumes for tweens for Halloween. Depending on the way you wish to proceed, this option means you have to take a lot of time off so that you can search the appropriate costume without being in a hurry and making a wrong choice. Unfortunately, as cool or imaginative your chosen costume may be, the occasions to get some wear out of it are quite rare. Except for, perhaps, a costume party by and for tweens. Eventually, if you don’t wish to wear the same costume for the next Halloween celebration, you can entrust it to the care of a good tailor, who can get rid of all unnecessary frills and turn it either into a piece of wardrobe you could actually wear casually, or a part for another cool Halloween costume for next year. Apart from that, you can’t use it otherwise. …is essential, no matter what your preferred costume may be. Even in the case of the really funny Halloween costumes for tweens, fit can convey a sense of proportion and taste which gives the beholder another feel of perceiving your look, a feeling that transcends its degree of wackiness and gives the impression of care in putting together your chosen outfit. Whether the buyer of the costume is an adult or a tween, the age of the person that wishes to wear it is inextricably intertwined with the necessity of a good fit. Therefore, the costume should not be baggy, nor too tight and the wearer should always feel at ease when dressed in it. …the quality of the costume. Be it a flower, a vampire, a queen of spades, you want your costume to keep together at the seams, but also to give you the freedom to move without difficulty, of which we spoke above; ultimately, you want it to make your overall Halloween experience as pleasant as possible. Therefore, as opposed to buying such an outfit from the Internet, always try first to take the time and search for one in stores, where you can immediately inspect its quality and make an informed a choice as possible. Yes, you can return a costume which is not consistent with your quality expectations when you purchase it online, but, on the other hand, it can be a waste of time in the process of finding an appropriate costume quicker. Where do we even begin? Magic wands, gloves, scepters, fake vampire teeth, portable mirrors, crowns, capes, horns are some of the hundreds of suggestions we could give you, should you be in search of a cool Halloween costume for tweens. This age is, in fact, the perfect one to let one’s imagination run wild and acquire an outfit that can illustrate one’s degree of originality and uniqueness. So don’t hesitate to put your Halloween inspiration to work, so that the costume that you ultimately choose be one of the, if not the best costumes in your circle of friends or family. Trick or treating will be even more pleasurable when you genuinely manage to impress those you visit not only with your cool costume for Halloween but also with the intuitive accessories that come with it. To conclude, we believe that, as a tween, Halloween is the unique occasion when you can freely choose any costume you wish. You can draw inspiration from tens of sources: folklore, poetry, fantasy, literature and so forth. With these options, you’re sure to find a costume that fits your desires, especially if you like to read and enrich your mind and soul. Dressing up as one of the characters you read about is always a tasteful and excellent idea, with which you can demonstrate the mark that those characters left upon your conscience. Not to mention the praise you will get for the option you choose.